The Iquitos Scarf & Manaus Headband. I have a not-so-secret plan and I don’t want it to keep it from you. I’m hoping the Flat i-Cord replaces the standard i-cord everywhere (or at least 9 times out of 10), forever more, until you can’t remember why you used to slide stitches to the other end of the needle. It’s a pretty big goal but once you’ve read our last post on the “5 Reasons You’ll Love the Flat i-Cord”, I’m sure you’ll agree. That’s because it’s easier, has more options and you can do more things with it. With just a glance at the photo above, you can see the difference a Flat i-Cord makes in a design. This 9-page pattern was put together with this goal in mind. It’s a reference guide to how to knit various types of Flat i-Cords: the basic, wide, double-wide, striped, button-hole versions and there’s a bow too. The pattern includes written instructions, charts and 2 detailed photo-tutorials. There’s also a graphic on how to make a 5-part braid. Bonus pattern coming! I’ll add another design to this pattern in the fall. You’ll receive a notice from Ravelry with the update once it’s ready. It will give you a whole new way to use the Flat i-Cord. It’s all sketched out and I can’t wait to knit them (hint). Why Iquitos and Manaus? Take my obsession with the World Cup, add my son’s 2-month visit to Peru this summer and the serpentine winding of the Amazon River and there you have it… two Amazonian towns as inspiration for the names. Why not give it a try? You’ll have lots of fun with it! Our home page has been updated so it’s all about the Flat i-Cord announcement. It’s a good place to start. Here are some links for your convenience. 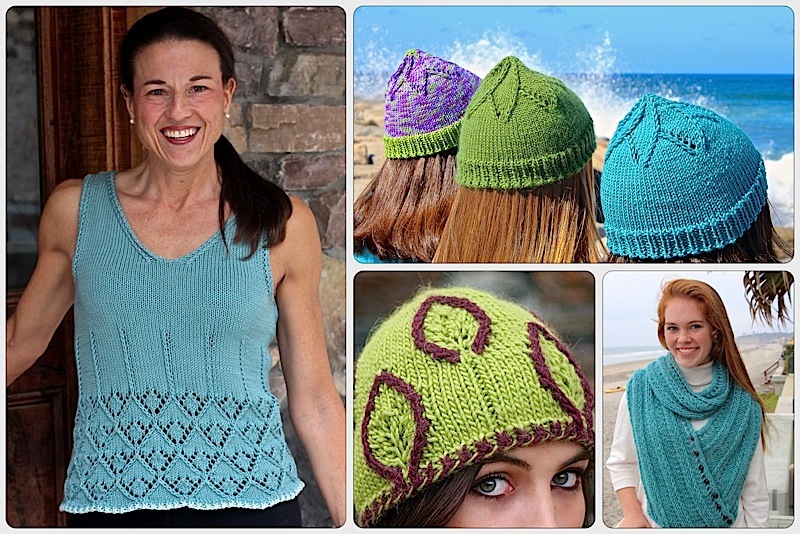 Download free sample pages of the pattern on our web site. 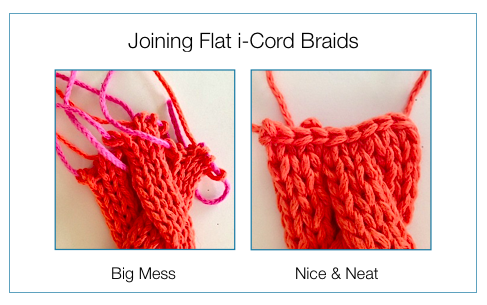 5 Reasons Why You’ll Love the New Flat i-Cord post. Read about the charity we are supporting with all Flat i-Cord Sales. Try the Caliente Shell which uses Flat i-Cord straps. Sign up for our quarterly newsletter for announcement of new Nuances and patterns. There’s a tab on the Home Page with a link to our last newsletter if you’d like to take a peek. Ok, I need to try this flat iCord thing! I’ll buy a pattern, and will show you how I do, Laura! 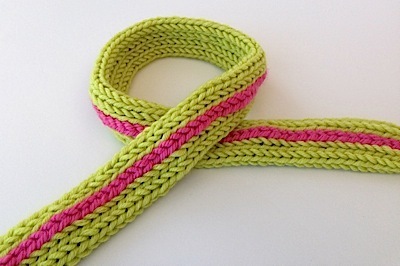 This entry was posted on July 18, 2014 by Laura Cunitz in Flat i-Cord, Nuances, Patterns, Scarves.